Early Bird Discount of $50 ends March 30 for four-week Webinar Workshop offered by the International Society of Sustainability Professionals that focuses on systems thinking and practical sustainability techniques. AtKisson has been working at the forefront of sustainability for more than 20 years. Focusing on practical applications of systems thinking concepts, this course will guide participants through the jungle of sustainability techniques and change processes, and help them learn when and how to apply them successfully. The instructor is Alan AtKisson, the originator of the "ISIS Method," a step-by-step process for teaching, learning, and doing sustainable development in practice, as well as the lead designer of the "ISIS Accelerator," a comprehensive set of tools designed to support learning, assessment, collaboration, innovation, and strategic action on sustainability, adopted around the world. Using the ISIS Method (Indicators | Systems | Innovation | Strategy) as a guiding structure and sequence, workshop participants will deepen their understanding of these general methodological categories, as well as specific sustainability tools, with AtKisson's ISIS Accelerator tools in focus. Students in the workshop will begin to apply both the ISIS Method and a variety of tools they select from the Accelerator suite to develop a sustainability project or initiative, and will work to produce a detailed strategic action plan. As part of the four-week course, AtKisson and workshop participants will explore case studies, examine the inner workings of selected tools, and consider the ethical dimension of strategy development. On completion of the course, participants will have received a thorough orientation to the art of Sustainability Change Agentry and be eligible to apply for recognition as a Certified Practitioner of the ISIS Method and ISIS Accelerator tools. 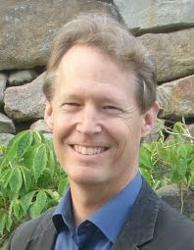 Workshop instructor Alan AtKisson has been working at the forefront of sustainability for more than twenty years. He he has helped to initiate, guide, train, or strategically develop sustainability initiatives in many different countries. As a consultant, he has worked with clients in many different sectors as well, from small businesses to global corporations, from large cities to small islands, from UN and World Bank funded programs in Africa to US military bases. AtKisson is the author of three books, Believing Cassandra: An Optimist Looks at a Pessimist's World (Chelsea Green, 1999); The ISIS Agreement: How Sustainability Can Improve Organizational Performance and Transform the World (Earthscan, 2008); and, most recently, The Sustainability Transformation: How to Accelerate Positive Change in Challenging Times (Earthscan 2011), which is the required text for this course. He is a contributing author to several other books as well, including The Natural Advantage of Nations (Earthscan, 2006) and The Future of Sustainability (Springer, 2006). His articles and essays have been widely published in magazines, academic journals, and websites. The ISSP Practical Tools and Methods for Change Agents Workshop will meet on-line each Thursday in April with 24/7 virtual access to a class discussion forum, readings and assignments at the ISSP Learning Center. All four Webinars are designed as Live Learning Labs, which provide maximum participant flexibility and access to the instructor. Live sessions will be scheduled at noon Pacific time (GMT -7) each Thursday in April over the 4 weeks of the workshop. The cost for the workshop is $450 with Special Discounts: $75 off always for ISSP members and $50 off with Early Bird Discount before March 30, 2012. For more information to to register, click here. The International Society of Sustainability Professionals (ISSP) is the world's leading professional association for sustainability professionals. ISSP is a member driven association committed to moving the profession of sustainability forward through building strong networks and communities of practice. Formed in 2007, ISSP boasts hundreds of members from every continent in the world. Members share resources, best practices and professional development. Webinars, Webchats, on-line classes, special reports, resource directories, salary surveys, and a professional competency study are just a sampling of the rich content offered to members. For more information about ISSP and its offerings, please visit http://sustainabilityprofessionals.org.